I acquired some old boomboxes and decided the tape adapter just wasnt going to cut it. Theory: Both of these have a CD player. This player will most likely be on a separate board. This separate board will send audio to the amplifier board via line level output. 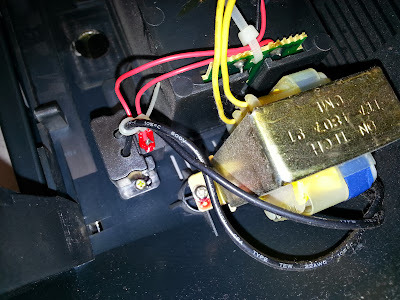 Using the above research to find the line level output from the CD player to the audio selector/amp. 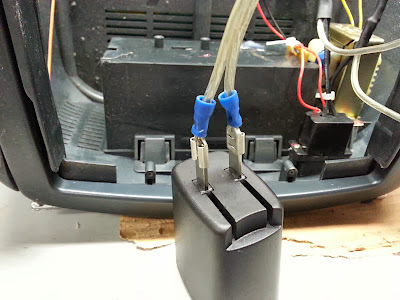 Once found, hijack these wires for a 1/8" jack. When I was taking this one apart it was quite obvious how much empty space this thing had. I came up with the Idea to add a usb charger internally and use the CD compartment as a cable holder/hideaway. This boombox also had VERY nice labeling make it very obvious what I needed to modify. Just look at all the SPACE! Since They were so nice to put that label there and have the OBVIOUS cable that was shielded and with red and white wires. 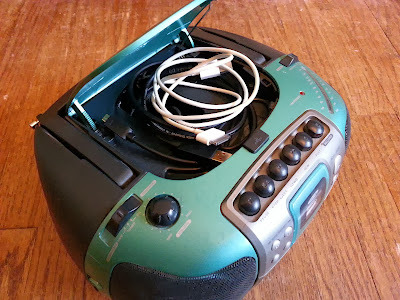 There is no problem here adding a Aux in place of the cd player. From this picture you can tell the audio is on the right side of the plug labeled 'CD IN'. 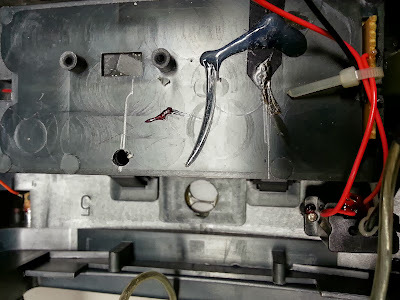 The red white and black going into a brown shielded wire. 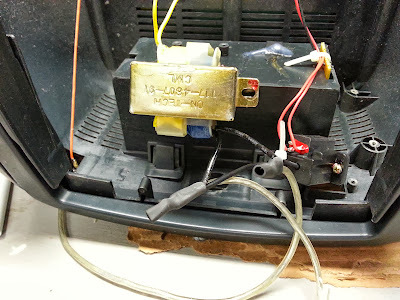 From that brown wire I soldered on a jack. 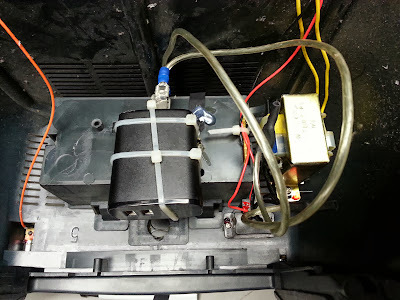 Zip tied to mount and hot glued to help secure and insulate the wires and help stabilize the mount. I moved the transformer for easier access to tap the power wires. 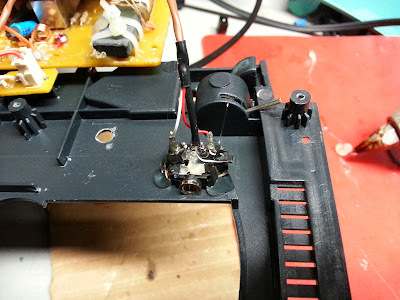 The USB power supply is not polarized so I did not mark which wire was hot. I found this to be the easiest way to connect wires. With these you just need to open them up a bit with a flat bladed screwdriver. These are also hot glued for an extra bit of safety. Penciled in the place I wanted the power supply. Using zip ties to mount. 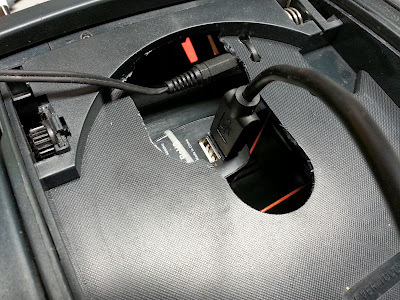 I cut some plastic as it needed a hair more space for the stereo plug. Things were mounted like this to allow the wires to stay connected and close the lid. Make sure to make a notch in the lid for room for the wires to pass. Notice I also cut off excessive plastic on the lid to allow more space. This was quick and dirty as no work will show on the outside and it works perfectly so who cares.